No sport incites salary rage like Major League Baseball, so for those who bellyache the money is too big, consider this a fair warning to gulp a handful of Tums before reading the next sentence. Teams are barreling toward $2 billion spent on free agents this offseason. Now, they may fall short of that nice, round number and still absolutely obliterate the previous spending record: around $1.75 billion in the 2006 offseason, a number that includes major league free agents as well as the posting fees for Daisuke Matsuzaka and Kei Igawa. Already teams have lavished approximately $1.543 billion on players, the latest a $130 million investment by the Texas Rangers for seven years of outfielder Shin-Soo Choo. He is the third nine-figure player of the offseason, joining Jacoby Ellsbury ($153 million) as an offset diamond around the center stone, Robinson Cano ($240 million). There is plenty more to come. If Japanese pitcher Masahiro Tanaka gets posted – his status remains in limbo – the $2 billion threshold is certain to be obliterated. Between his contract and the $20 million posting fee, teams expect to pay somewhere in the neighborhood of $120 million for Tanaka. Beyond him are three pitchers who reason says will cash in for around $60 million each (Ervin Santana, Ubaldo Jimenez and Matt Garza), an outfielder worth the same (Nelson Cruz), a shortstop a notch down from that (Stephen Drew), another starter sure to get multiple years (Bronson Arroyo), a bevy of relievers who will get papered (Fernando Rodney, Grant Balfour and Jesse Crain, among others) and the dregs of the class, who can fetch $5 million here, $3 million there and add up quickly. For those surprised, don't be. Baseball's economic system, as presently constituted, guaranteed free-agent salaries ballooning to unfathomable levels. A number of factors conspired to turn it into even more of a money booth than in the past. First are the revenues. Back in 2006, a year before the recession started, baseball's revenues were around $5.5 billion. Today, they are nearly $8.5 billion. And only now is free-agent spending catching up; over the previous three offseasons, it fell somewhere in the $1.3 billion to $1.4 billion range. More than that are the mechanisms in place that more or less force teams to spend their money on free agents. Simply put: They can't spend it anywhere else. The league capped how much teams can spend on the draft and international free agents. Many of the best players in the game don't even make $1 million a season because the system artificially depresses salaries for the first three years of a career. Plenty of the best would-be free agents forgo the open market by signing long-term extensions, which can be for big money, sure, but almost every time represent a discount against what the player would receive with his services available to all 30 teams. For those, then, with the patience to wait for free agency and the luck to do so coming off even a decent walk year, the rewards are massive – enough so to make you wonder if there will be some sort of a market correction in which pre-free-agency extensions start to inch closer to the open market or players who might've been locked up opt instead to chance free agency. There is an expectation within the industry that at least a couple of the monster class of free-agent pitchers next offseason will sign extensions. The group includes Clayton Kershaw (who will command the first deal for a pitcher over $200 million), Max Scherzer, Jon Lester, James Shields, Homer Bailey and Justin Masterson. If each went to free agency, there's a good three-quarters of a billion dollars among the six, more than making up for a hitting class that includes Hanley Ramirez and a group that is best referred to as Et Cetera. It's one of the biggest reasons the Rangers went so hard after Choo, giving him more years and money than they wanted: the outfield market next year is paltry, and they've got goo-gobs of TV money from local and national sources to cover it. Give the Rangers this much: They've long made a habit of being ahead of other teams in how they spend their money. They went bigger in Latin America than any other team before the spending cap, then blew by it when the penalties weren't as severe as they are now. This offseason, they've committed more than a quarter billion dollars to Choo and Prince Fielder and helped spearhead the spending that left the American League West as baseball's most munificent division and the AL spending nearly three times as much as its National League counterparts. The five AL West teams have combined to heap $466.6 million on free agents – Cano and Choo account for 79.2 percent of that – while the AL East is at $399.25 million (with the Yankees at 79.1 percent of that). Next is the AL Central ($268.75 million), followed by the three NL divisions: East ($182.98 million), West ($148.25 million, not including the Hunter Pence or Tim Lincecum deals because they signed before free agency) and Central ($77.95 million – and, without Jhonny Peralta, less than $25 million combined). Thirteen players by themselves have signed for $25 million, and another seven have exceeded the $20 million mark. It's almost exactly like 2006, with 15 at $25 million-plus and 20 at $20 million-plus. With the five starters, Cruz and Drew left to go, this year's numbers should dwarf '06 in all respects. Welcome to baseball in 2014, which rewards free agency more than ever. Ask Robinson Cano. Ask Jacoby Ellsbury. 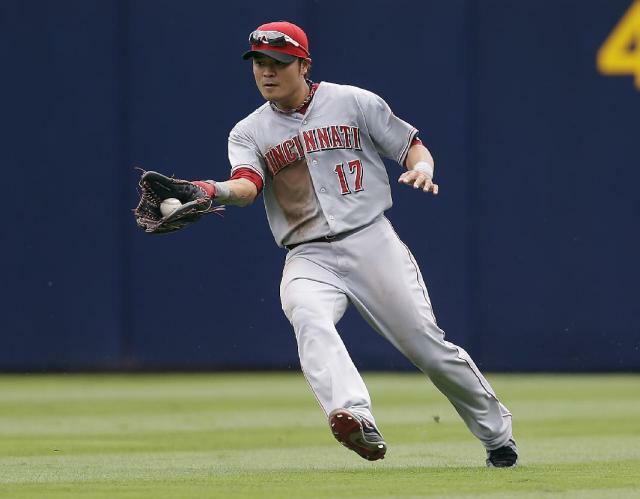 Ask Shin-Soo Choo. Ask any of the middle relievers cashing in for $6 million a year, the back-end starters and utilitymen getting four-year guarantees, the fourth outfielders getting paid what used to be All-Star wages. The union sought free agency with such fervor 40 years ago because the brilliant men leading it saw this day, when owners would make money hand over fist and give players their fair share. Even those brilliant men could not fathom just how big that number would be: $2 billion or bust.